Being magnificent Baroque style architecture, Quattro Canti was built in 1608-1620 having a beautiful octagonal shape. 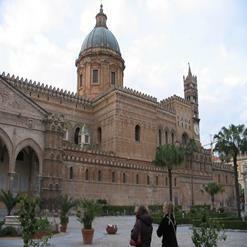 Four sides of it are street, as it is located at crossing of two principal streets in Palermo and the other four sides are Baroque buildings. Being one of the major examples of town planning in entire Europe, there are beautiful statues and fountains located here which are worth seeing.